Thank you for your continued support and cooperation with Meiyad. We apologize in advance for any inconvenience this may cause. 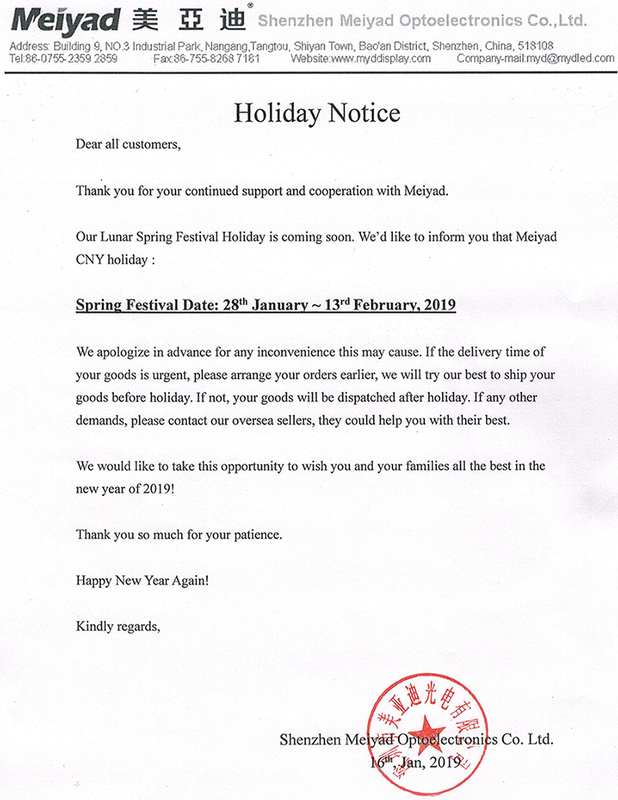 If the delivery time of your goods is urgent, please arrange your orders earlier, we will try our best to ship your goods before holiday. If not, your goods will be dispatched after holiday. If any other demands, please contact our oversea sellers, they could help you with their best. We would like to take this opportunity to wish you and your families all the best in the new year of 2019! 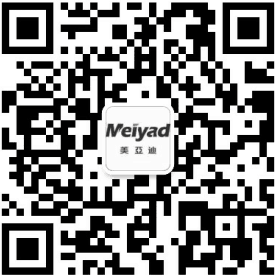 Shenzhen Meiyad Optoelectronics Co. Ltd.